This entry was posted on August 5, 2011 at 6:00 am and is filed under Barack Obama, Democrats, Economy, socialism. You can follow any responses to this entry through the RSS 2.0 feed. You can skip to the end and leave a response. Pinging is currently not allowed. 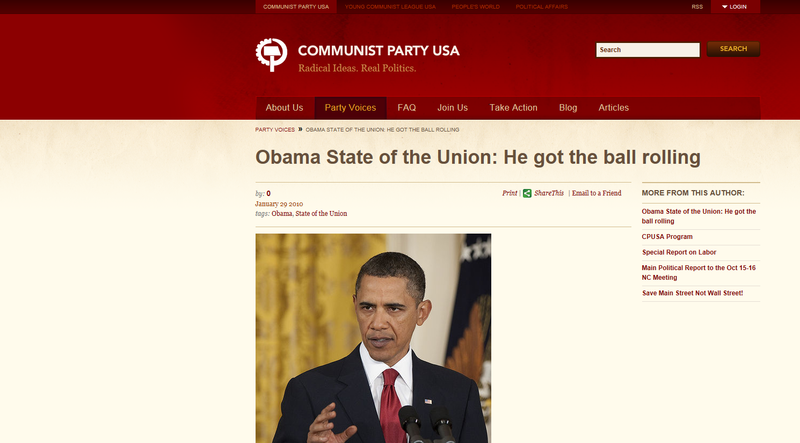 The CPUSA also endorsed obamarx in his presidential bid. In 1995 Obama accepted the nomination, signed a contract, and ran as a candidate of the openly Marxist New Party. The New Party was an electoral alliance that worked alongside ACORN, formed by members of the Democratic Socialists for America (SPUSA and DSAUSA) and leaders of an offshoot of the Community Party USA (CPUSA). The New Party was funded by literally hundreds of leftist front-groups operating as special interest 527 organizations. I think this pretty much makes it official.